Thermal efficiencies and energy transfers of different materials is a fairly dull and uninspiring aspect of most physics exam board syllabus but it doesn’t have to be dreary. 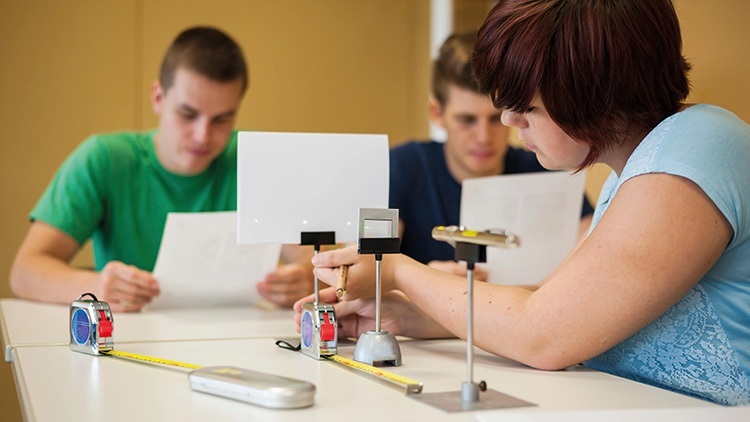 The new AQA physics syllabus (8463) includes required practical activities, one of which is: ‘Investigate the effectiveness of different materials as thermal insulators and the factors that may affect the thermal insulation properties of a material’. Teachers may traditionally decide to use three different materials to wrap around a beaker of boiled water and measure the temperature change over a set time period. This would produce a lovely set of data and a chance to practice some graph skills. All done and dusted in one lesson I guess? I decided to make this practical more engaging and personal by getting the students to build a model house. This is not a cardboard and PVA job, this involved cement, mortar, render, windows and a removable roof. The students started by researching the recommended ratios for the perfect concrete ratio and then set about weighing the raw materials and mixing up their batch for concrete bricks. The students poured their mixture into large ice cube trays and set them outside for 24 hours. Whilst the ‘brickies’ were hard at work, the internal walls were being measured up by the group appointed site foreman and her team of mathematicians. Two students were investigating the possibility of making windows from some old microscope slides glued together with a section of wooden splint separating the three panes of glass. Creating a vacuum between the panes was mentioned but quickly ruled out due to time constraints and resources. The general idea was to produce a concrete brick ‘skin’ wall, which would be rendered upon completion. The concrete mix included small irregular pieces of plastics instead of stones or gravel, a way of locking up plastics in a useful application – up-cycling? Outside: render - bricks - air gap - cotton wool sandwiched between OSB or MDF panels covered in aluminium foil - Inside: internal plastering. Some pine baton was used to create an A-Frame for the roof to sit on top of the bricks. 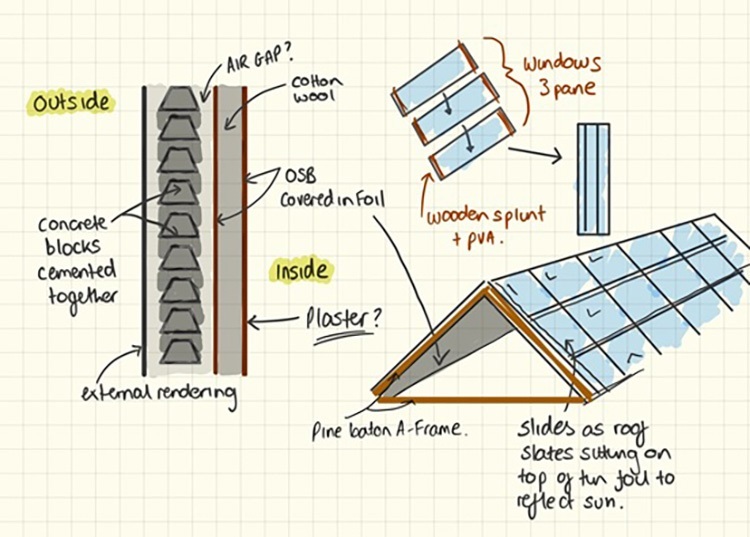 The roof was made from the same materials as the walls and topped off with more glass microscope slides, which represented solar panel tiles. Needless to say this was a fun and engaging few lessons (4). When it was time to see how thermally efficient the building the students used a vernier data logger and three temperature probes (one placed by the windows, one in the roof and one in the center of the house next to the container of recently boiled water. The students analysed the temperature changes over 30 minutes and recorded their data on the same graph. The discussion of the results introduced the next topic in the unit – heat transfers. Our model house will now serve as a reminder throughout the year of the unit content and hopefully inspire some students in the school to pursue careers in architecture, engineering and construction. You don’t need to be experienced with these materials or be a real DIY enthusiast, just be willing to get yourself, your students and your room messy as well as keeping your technician(s) busy. Yes, this lesson took up precious teaching hours in the classroom but the trade off was a well motivated class who got to work together as a functioning team of builders, sharing ideas and learning some new skills as well as investigating the thermal efficiencies of different (real) materials. Tom Franks is a science teacher from London, currently teaching at an International school in Spain.